Where Do My Drafts Live? You might need your mom, aunt or your work best friend to give it a quick look. You know how it is - you're and your can be tricky. 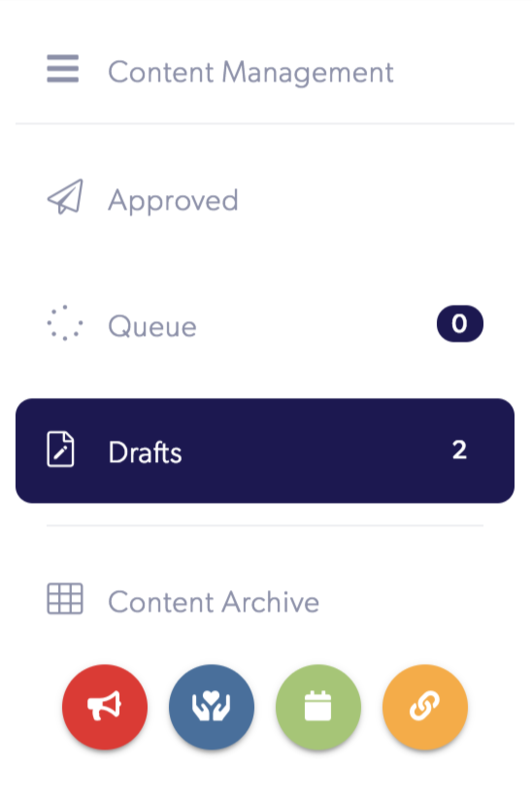 Cerkl makes it super simple to access your drafts in just a few short clicks. Head your organizational drop down menu, scroll over Content Manager > Drafts from the menu on the left side of the screen. Walhalla, easy peasy, now edit away!